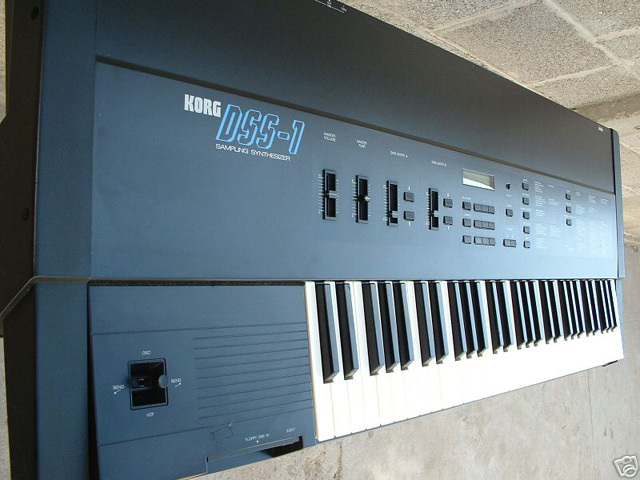 Korg DSS-1 Gets New/Cheap Floppy Alternative: Now in SD! 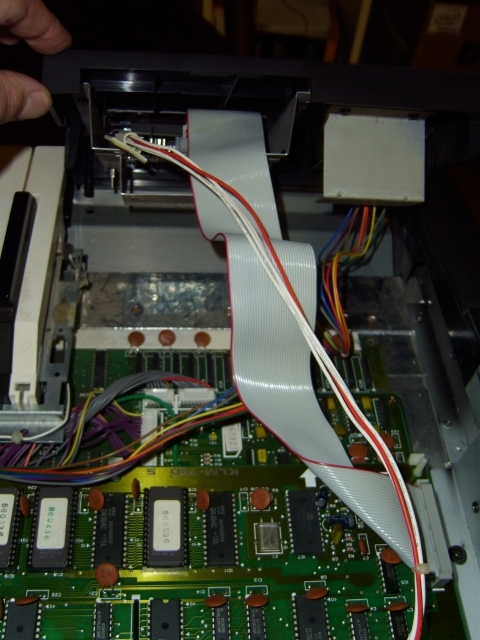 After I discovered the HxC Floppy Emulator that I talked about here, I knew right away this was the answer to my problems for my Korg DSS-1 with a broken floppy drive. 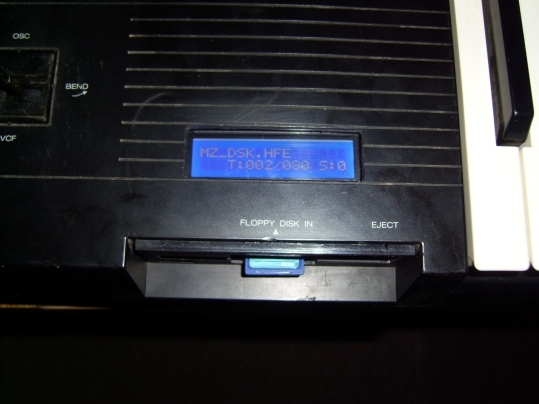 The floppy drive, a noisy, slow, prone-to-break 720K/3.5″ sort, are going for nasty amounts of money on eBay, because sellers know they aren’t made any longer and will be needed soon by nostalgia geeks fixing up older computer systems and synthesizers from yesteryear. 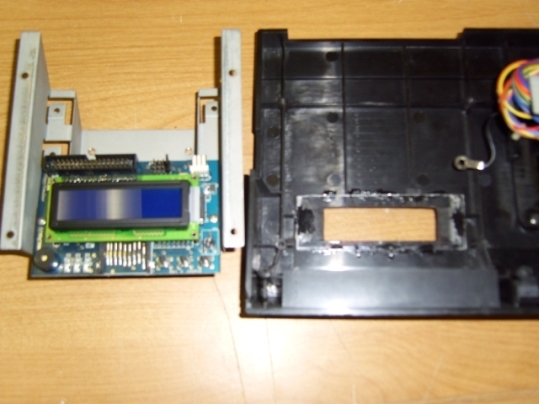 To recap the other article really quickly, I discovered this strange little USB unit, made by a nice duo known as Jeff and Lotharek, that is simply a floppy emulator. 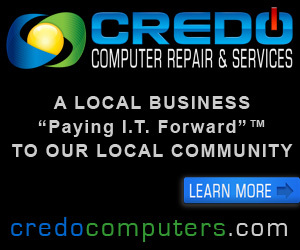 There is an internal OS that manages the files and a separate “A,” and “B,” drive, partitions the information fed to it appropriately so the drive is recognized on your machine of choice, be they Amiga, Atari ST, Prophet 2000 or Korg DSS-1 sampler/synths. 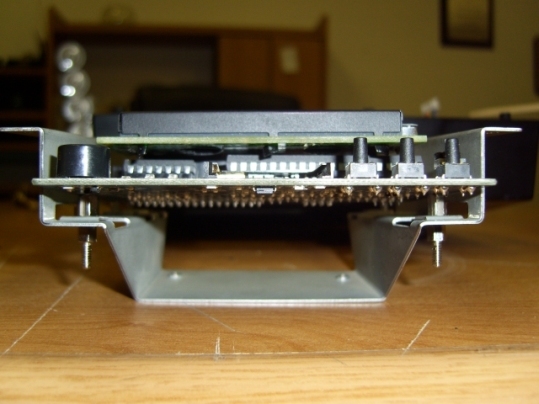 The only qualm I had was being tethered to a USB cord plugged into another computer; I also needed a way to install it properly. Granted, my Korg DSS-1 won’t be winning any featherweight competitions any time soon, but the less shackles, the better. Luckily, the Jeff/Lotharek pair came up with a new SD-card variant, which kicked me into excitement mode. I learned it is indeed tapped perfectly for 3.5″ drive specifications, so it would have a great chance at fitting in my Korg DSS-1. It takes SD cards, therefore, no cord, and came with the designer/builder’s assurance it would work with my old sampler beast. About $100 later, I was well on my way to figuring out if this really could be installed and solve my floppy woes. I was on pioneering ground, it seems, for with the exception of a USB-corded version working unmounted in a DSS-1, this particular fit hasn’t been done until now. Faced with another inspired individual who does this upgrade, making the Korg DSS-1 work (or work better) isn’t a brand-new idea. The problem is, I have economic problems taking a synth/sampler and putting huge cost into it for unknown gain. This is a great board, and this is a great upgrade, but I’m broke, have little space, and have better things to do with $400 right now. I just wanted the thing to work to the best of my ability. So it’s true, this fix isn’t the top-of-the-line upgrade you can give your Korg DSS-1, but it sure is an upgrade from your 720K drive, and will certainly replace your broken drive quite well. About two weeks later, a package from Poland came, and I went right to work hooking up the unit to the Korg DSS-1 to find out what it would be like. The power mains for the original floppy drive fit, but I found I had to deal with a small lock-tab that wasn’t accounted for on the HxC SD Floppy Emulator. Not a big deal. It worked fine, and I made sure to use the original floppy ribbon cable (not the type twisted on 10, 11, 12 — just the straight-through) for the synth, and my adventure began. A little struggle was had finding the ideal setup with the configuration software (available here) but it isn’t hard to figure out. I first formatted the SD card through Windows 7 as “FAT,” used “Generic Shugart,” to make the HXCSDFE.CFG file (very important) needed to go onto the SD card (I used a Kingston 2GB C4). Last, I loaded up the *.DSK files I found here onto the SD card, plugged it into the emulator, and finally accessed the *.DSK files with the “Multi Sound,” option on the DSS-1. I was also able to write drawn waveforms, but that requires a new “disk,” (which is what a .DSK file is to the emulator and the DSS-1), and thus, didn’t have much room. 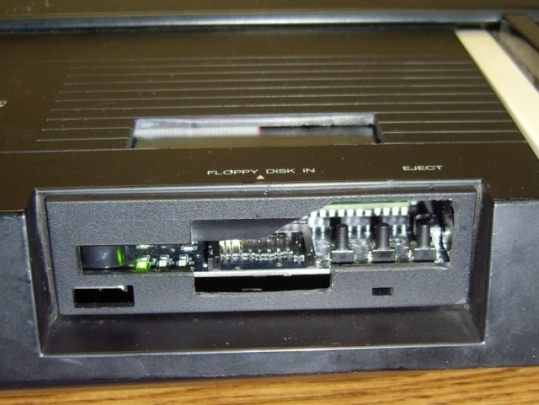 All of these features are used with controls on the HxC SD Floppy Emulator itself, in the order of three buttons on the lower right hand corner of the unit. One button accesses the menu/confirms, and the other two are used to scroll through the file list on your SD card. They appear as XXXXXXX_DSK.HFC — *.HFC is the file that the emulator recognizes, and then that sends the *.DSK file to the Korg DSS-1. Once you’ve selected a file and confirm, the “disk,” is loaded, and ready for your Korg DSS-1 to start wailin’ away on your Hammond B3 samples! Well, if you have those. It should be noted a program called “CopyQM,” is the way you could go between *.DSK files and an IBM/the DSS-1. The file systems between your computer and the DSS-1 are not technically compatible, however I never used CopyQM to do any of this, just threw the downloaded *.DSK files from the link above on the SD card. You may need CopyQM in the future to get your files from old DSS-1 disks to your computer, but after that, they should be fair game onto this SD card upgrade. I am not a Korg DSS-1 expert. I’m barely a novice. It is the first and only one I have ever laid eyes upon or worked with. The seasoned Korg DSS-1 pro will probably be able to get much more out of this unit with this little SD Floppy Emulator gem inside of it. This project all stemmed from me adopting this huge airplane-wing-of-a-beast unit, knowing I’d have to deal with the floppy drive. I figured “…oh easy fix.” How yes and no that statement really was. I got lucky. Actually, Korg DSS-1, Prophet 2000 and other vintage-tech nerds are lucky, because this little HxC SD Floppy Emulator is a godsend. I cannot thank Jeff and Lotharek enough for making this beauty, and I hope they keep making other innovations with us in mind. While requiring a little research and tech know-how, the Korg DSS-1 can take a step towards 21st century relevance once again. Good luck, and happy nerding/synthing.